Work with label, artist and management on the creation and distribution of packaging and marketing materials such as cover images/album packaging, posters, websites and point of sale assets. Work with sales/distribution and creative teams to create physical and digital new release sales & marketing materials. Assist with all digital asset delivery including metadata, artwork, music, and video for all digital releases. Liaise with sales/distribution company to insure all relevant information is conveyed in a productive and useful manner for sales and marketing reps. Coordinate with sales and distribution team to build best suited digital and physical retail programs. Generate weekly sales & marketing reports and distribute to all team members. Help find and secure the right production team to suit the artist’s sound. Connect artist with entertainment lawyers and A&R scouts from majors and independent labels. Assist with admin and backend paperwork, to set artist/client up properly with all the performing rights organizations and collection services. Merchandise - posters, postcards, stickers, etc. Recommend and hire radio, publicity, online marketing, photography, graphics, video production staff. on client's behalf and act as conduit for client's vision. Work with sales and distribution company to provide any necessary market research. Liaise with distribution company to insure coverage at all strata of recognized audio retailers including wholesalers, rack accounts, digital, physical and non-traditional customers. Communicate with distribution company on all levels including production and inventory management. Investigate all options to expose client’s music on radio and put together a promotion team and plan best suited the client's music. Assist with any promotional tour planning including travel, etc. Solicit video directors and treatments or recruit video producer to help with overall video production efforts. Assist in video promotion and submit video to national and local outlets. Engage and liaise with online marketing companies to construct the most effective digital based grassroots marketing plan and strategy including asset development, social media presence, and digital PR and promotions. Assist with website development and help secure best web design team to meet the artist’s needs and budget. Help build 3rd party strategic partnerships and alliances. Formulate targeted and cost effective print, digital, TV, and radio ad plans according to client’s needs. Work with client to find the best PR company to represent the artist and release. Work with publicist to create a press campaign and find every possible angle to expose client’s music. Work with current agent to help plan touring to coincide with other marketing efforts. Assist with visa applications for artists coming to the US. Utilize industry relationships to help secure opening slots. Exploit all possible micro-marketing tour opportunities. 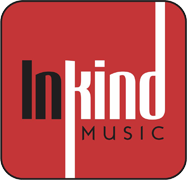 If you are a developing artist and you need some guidance and advice, but you don't have the funds to hire InKind Music on an ongoing basis, we can work with you a different way. Send us a brief description of who you are, links to music, etc. and what you think you need help with and we can customize a plan for consultation that is affordable. We'll advise you on next steps, point you to companies and people that might be helpful mand take it from there. We want to hear from you! Give it a try. exposing your music/video beyond online. Hourly Rate: $200.00 Discount Packages Available. © 2019 - InKind Music. All Rights Reserved.